Also, given the large value of this deal, is it possible Take Two will honor the request of Charles Barkley and be giving money to the NBA Retired Players Association? Take Two's NBA portfolio currently includes: NBA 2K, NBA 2K Online and NBA 2K Online 2, NBA 2K Mobile, MyNBA 2K19 (mobile), publishing NBA 2K Playgrounds 2, and the NBA 2K League. I thought I read Live has its own deal based on percentages. I don’t think 2K is worrie about them tho lol. Beyond that, the WSJ assumed that royalties include typically around 15% of sales, but also assume 2K is paying north of that in this deal. Maaaaybe, the league keeps the same base rate + royalty rate and nothing changes for EA. However, if one partner is willing and able to pay a higher royalty rate, why wouldn't it be expected of all partners? If the WSJ is correct on that belief, it doesn't make sense that a company (Take Two/2K) would pay (let's say) 20% on royalties while a competitor (even a distant one like EA) is paying less. EA has an investor conference call on February 5, so maybe something is disclosed then. Should EA be leaving the NBA market or even going solely to streetball with the player license (not the league one), I doubt we hear anything until post-release support of NBA LIVE 19 has concluded. That could be anywhere after the All-Star Game or as late as NBA Finals, really. 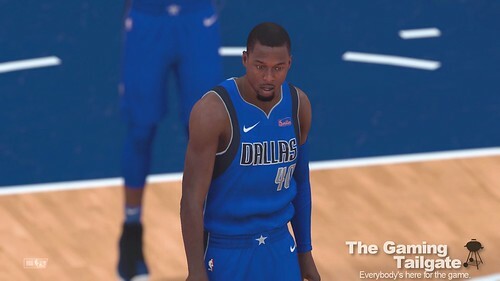 ASG likely the last patch with game content; Finals the last bit of LUT content.